Your Inner Democrat and Republican. I wanted to write a bit about how the election has ignited and spurred on activism and peaceful resistance. Without talking specifically about “sides”, I think the coming together of people for the Women’s march on January 21 was truly remarkable. To see people standing up for what they believe, getting clear about their values and beliefs was wonderful. The Women’s March was a peaceful coming together of women and men and ch ildren to express themselves and advocate for equality, human rights, universal healthcare, and social justice. I haven’t seen anything like it in my lifetime, for sure! At least 3.3 million people participated in the Women’s March across the country. People across the world marched in sister marches in solidarity with the United States. And..this is no “alternative fact”: There were zero arrests during the Women’s March on Washington. With the division in our country, I’ve been doing a lot of thinking about the Jungian concept of the shadow. The shadow is an unconscious aspect of personality which our conscious ego doesn’t identify in itself. Basically it’s the part(s) of ourselves that we tend to reject. aspects of self. In other words, we become more authentic, more genuine. We then have the capacity to make conscious decisions around how we respond and behave to both internal and external stressors in our lives. Facing our shadow, we bring awareness and light to these “negative”, dark aspects of our psyche. When we reject certain parts of ourselves, we can often project these parts outward onto others. 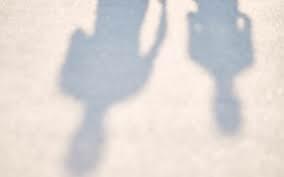 When we notice other people who seem to be embodying our own shadow qualities, we typically have a very strong negative reaction to them. In politics, we can make these “others” into our enemies. Think about the hostility today that exists and is fostered by the current administration. You have to ask yourself, who benefits from seeking to further divide us from each other? When you make somebody or some organization your “ene my”, you are identifying your own shadow side with that “enemy”. While the shadow is mostly representative of our dark or negative side, it also in some cases can be positive qualities that we push aside and refuse to acknowledge about ourselves. Everyone has a shadow. A friend and I got talking recently and she told me about a conversation where she recognized her own shadow was showing. The other day, she said she attempted to have a conversation about certain news outlets that were not allowed into the White House press briefing. When the person she was talking with began to degrade those news organizations, she asked if he had evidence of “fake” stories that they printed. He did not. She said she understood that his opinion was that he didn’t like those publications. She then said that she didn’t understand why the man began to degrade and discredit those news outlets when he didn’t have any evidence. She said she remained calm and was genuinely curious at this point. Well, the discussion took a sharp turn she said..and she was called some choice names and accused of being unkind and calling anyone who supported Trump, half the country, he said, of being ignorant. He also stated that she just needed to ac cept that she lost the election. For this woman, she admitted being sarcastic in her tone after being called names. She talked about the smugness and recognized that she didn’t particularly like her inner “snarky” shadow. While it sounds clear enough that she was being verbally attacked and that it may be a natural defense to meet some of that projected anger with sarcasm, she said, “That’s my go-to defense”. She then recognized other times where her use sarcasm fueled further division in relationships as she defended against genuine intimacy. This interchange helped her to bring awareness to her shadow. She said, “Ouch!, My ego doesn’t like being called out, but it’s good to see and acknowledge all of who I am, and not just get into thinking I’m just some nice person with the best of intentions all the time”. We laughed at this as we both recognized of our many flaws and imperfections. Further, she said that when someone is projecting a lot of anger towards her and she knows that it is the result of some shadow aspect of that person and not her, that she felt it would be easier to either refuse to engage or to disengage earlier. By acknowledging her own shadow she felt better able to make choices about future behavior. The Women’s march and other protests of resistance can remain peaceful and nonviolent demonstrations of support and solidarity. When they are conducted with intention and awareness of our individual and collective shadow(s), we can continue to make decisions about how to message others from a integrated place of consciousness. So I hope you are beginning to see the benefits of doing shadow work and working with those unconscious parts of ourselves. It serves you to face your own shadow and bring awareness and light to the dark side of your own personality. Be brave enough to look within, risk letting some of the air out of ego’s balloon, so that you are better able to look inward to do so. When we feel the projections of others upon us, we need to make conscious choices to engage or disengage, (and there will be times to refrain from engaging!). Become mindful of your own shadowy aspects so you can have more genuine and authentic relationships with others and begin to recognize our sameness and acknowledge our differences with respect. “Projections of all kinds obscure our view of our fellow men, spoiling all possibility of genuine human relationships. And there is an additional disadvantage in projecting our shadow. If we identify our own shadow with, say, the Communists or the Capitalists, a part of our own personality remains on the opposing side. The result is that we shall constantly (though involuntarily) do things behind our own backs that support this other side, and thus we shall unwittingly help our enemy. If, on the contrary, we realize the projection and can discuss matters without fear and hostility, dealing with the other person sensibly, then there is a chance of mutual understanding or at least of a truce. (pg. 182)”. We all have an inner Republican and Democrat. Can you recognize the parts of yourself that resonate with both sides? How can you begin to bring your shadow into the light of awareness? Kon Mari – 3 years later. Meditation Monday: My Favorite Apps! Our Lives are Lived in Rhythm and Movement.